Home Chevrolet Cruze General Motors is recalling its 2014-2015 Chevrolet Cruze vehicles for a Steering Gear Not Tightened to Specifications. 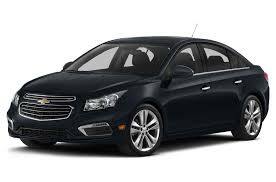 General Motors is recalling its 2014-2015 Chevrolet Cruze vehicles for a Steering Gear Not Tightened to Specifications. GM will notify owners, and dealers will replace the steering gear assembly, free of charge. The recall is expected to begin in July 2015. Owners may contact Chevrolet customer service at 1-800-222-1020. GM's number for this recall is 15386.